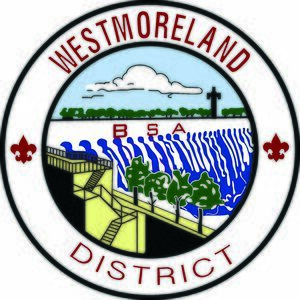 Westmoreland District, a district of the Greater Alabama Council is the northwestern most District in Alabama where it serves Boy Scouts in encompasses Franklin, Colbert, and Lauderdale Counties, including The Shoals metropolitan area and surrounding communities. District Roundtable meets on the 1st Thursday, 6:30PM, each month at First Methodist Church of Florence (415 North Seminary St, Florence, AL 35630). Roundtable provides supplemental training for volunteers at the unit level. The objectives of roundtables are to provide leaders with program ideas, information on policy and events, training opportunities, and an enhanced network of contacts and other resources while also providing unit leaders with a voice in formulating direction at the district level. Cub Scouts holds weekly activities for youth ages 6-10. Contact either the unit or it's sponsor to get more information back in 72 hours. Arrowhead District Day Camps are offered at Point Mallard Park in Decatur, Alabama and at Sportsman Lake Park in Cullman, Alabama. Troop 142 - Wesley Memorial UMC ( Methodist Scouting). Camp Westmoreland - CLOSED: a historic Boy Scout summer camp located in Lauderdale County. This is one of the oldest operating camps in the Southeastern United States; it first opened in the 1920s. Ceased operations as a summer camp in the 1980s. Westmoreland District is named after Camp Westmoreland, a historic Boy Scout summer camp located in Lauderdale County. Camp Westmoreland's old Order of the Arrow lodge was once home to Kaskanampo Lodge 310, which merged with Coosa Lodge 50 in the year 1999. Westmoreland District was once a part of the Tennessee Valley Council of the Boy Scouts of America before this council was merged with two other councils to form the Greater Alabama Council. This page was last edited on 14 January 2018, at 01:09.